This series was originally published at the Redbird Daily, but is now proud to call Cards Conclave home. This installment was written by Austin Lamb. The countdown of the 100 greatest Cardinals continues as we take a look at numbers 80 through 76. Here we have a couple of starting pitchers, a couple of first basemen, and a shortstop who is in the Cardinals Hall of Fame. His tenure in St. Louis was definitely not one of the longest in Redbird history, but he was a very productive pitcher during his time there. He played all of the ’96 and ’97 seasons with St. Louis before being traded to Texas in ’98. He posted a record at or above .500 each season with St. Louis, while posting ERA’s below 4.00 and WHIP’s below 1.30. Although never an all-star during his 14 year career, Stottlemyre was a dependable starter. He surpassed 200 innings five times during his career including two of the three years he was in St. Louis. Fournier was a first baseman who played three of his 15 big league seasons with the Cardinals. He posted an OPS over .800 in each of his three years and posted double digit home runs and steals in all but one season. He lead the league in hit by pitches in both 1920 and ’21. A career .313 hitter, he posted averages of .306, .343 and .295 with St. Louis. 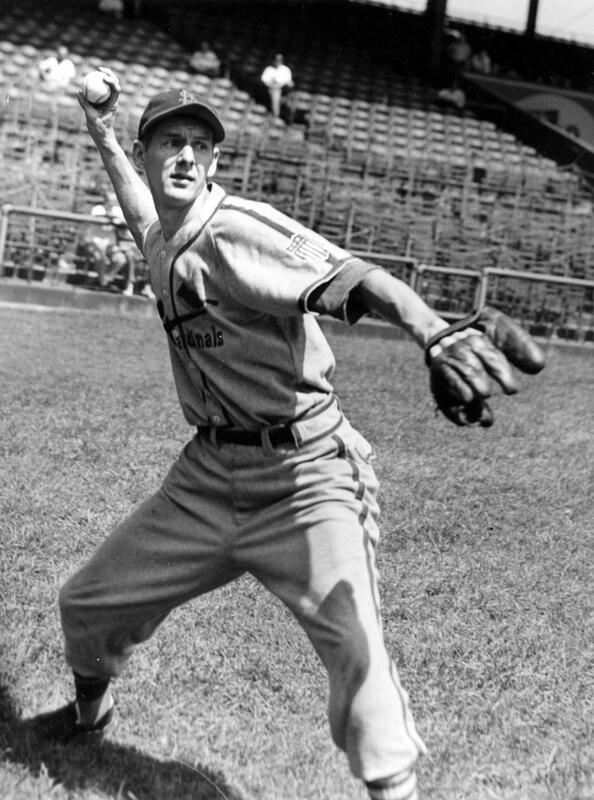 The third member of today’s list played 10 years with the Cardinals, including being on the famed 1934 Gashouse Gang. Bill Hallahan was an all-star in 1933 when he posted a 16-13 record while throwing 244 1/3 innings. He lead the National League in wins with 19 in 1931. In both 1930 and ’31 he also lead the league in strikeouts and walks. Command was not one of his better attributes as three times he also led the league in wild pitches thrown. He finished top 10 in WAR among pitchers in both 1930 and ’31. 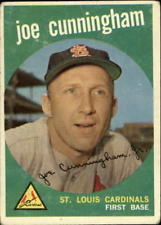 Joe Cunningham played parts of seven seasons with the Cardinals. He was an all-star in 1959, when he led the league with a .453 on-base percentage. He also hit .345, posted a .478 slugging percentage and finished 13th in MVP voting. Although not a true slugger, his career slash of .304/.413/.443 with the Cardinals was extremely successful. He finished top 10 in WAR ranking for hitters in his 1959 season, while also ranking 6th overall in adjusted OPS+ at 143. His career on-base percentage of .403 ranks 48th in baseball history. We wrap up today’s list with a member of the Cardinals Hall of Fame inaugural class. Marty “Mr. Shortstop” Marion played all 13 years of his career in St. Louis. He spent 11 of those seasons with the Cardinals and played the final two with the Browns. An eight time all-star, Marion also won the MVP award in 1944 and received MVP votes in six other seasons. While his career slash of .264/.323/.346 may not seem impressive, his defense was superb. Three times he led the league in defensive WAR and ranks 17th all time. He also led the league twice in assists, put outs by a shortstop, and double plays turned by a shortstop. Following his playing career, Marion spent parts of six seasons as a manager. He managed the Cardinals for one season, leading the team to an 81-73 in 1951. Our list continues tomorrow with Rusty bringing the # 75 – #71 ranked players.